Recently, Instagram has become one of the favorite social networks worldwide. The ease of discovering and uploading content in the app can make it easy to lose track of time as you scroll through endless posts. Fully aware of this fact, its creators make it easy to find out if you’re becoming addicted to this app. Specifically, they’ve included a feature that lets you see how much time you spend using the app on a weekly basis. This new statistic that will soon appear on Android, will be found in the menu that opens on the right side of the interface. There, you’ll find the option Your activity above the Nametag option. 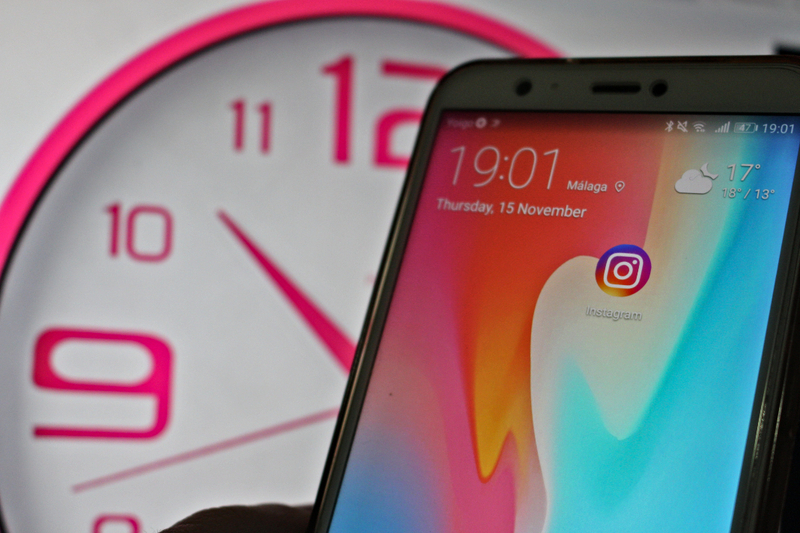 If you access this section, you’ll find a number with the average time you’ve spent connected to Instagram in the last week. Plus, in the lower part of the screen, you’ll see a bar graph to compare this information visually. Having reached this point, you may be a bit alarmed about how much time you actually spend on the app. Don’t worry. There’s a solution to considerably reduce these numbers. 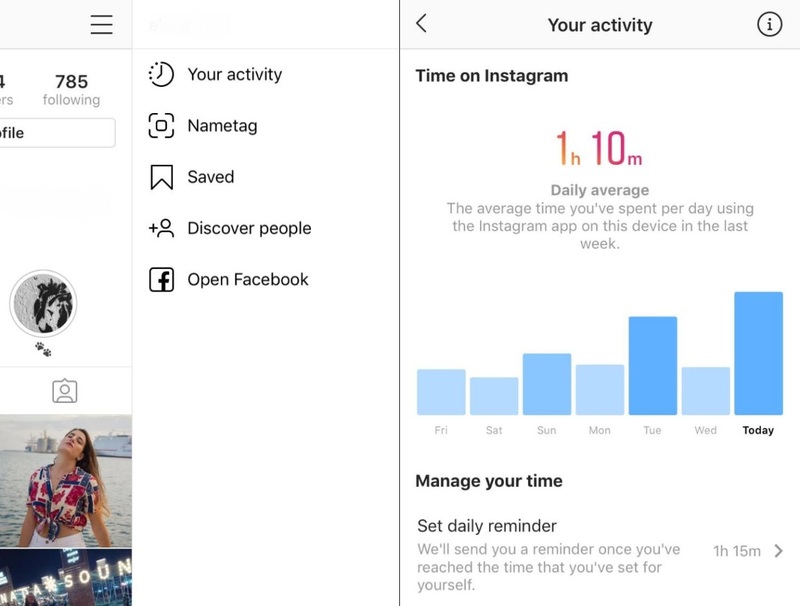 Instagram also presents an interesting tool to help you set floating notifications that will alert you when you’re going over your usage time. 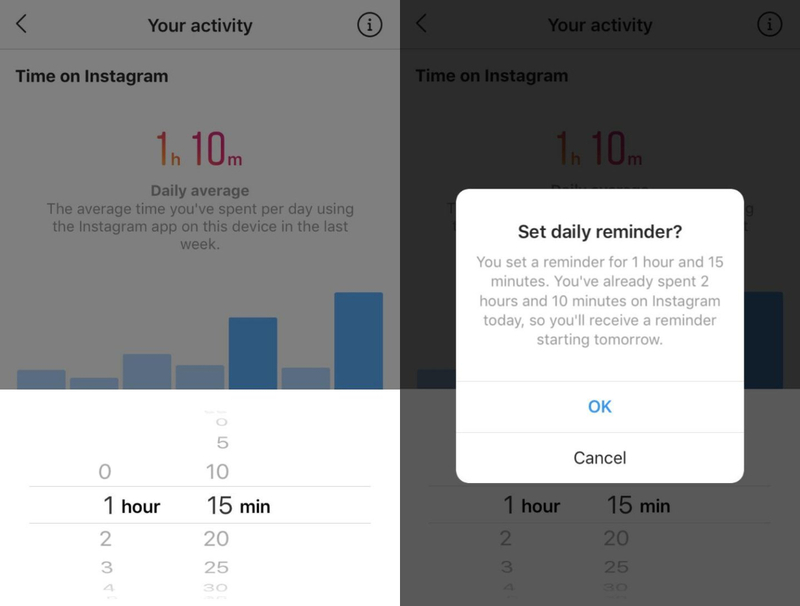 To activate this feature, you just have to tap the option Set daily reminder and select the number of hours and minutes you want to set as your limit. Once you’ve surpassed this daily usage, you’ll receive an alert to let you know you’ve gone over your limit. This way, it will be easier not to look at Instagram so often. Hopefully it’ll be easier to be more productive and concentrate more on other tasks with this simple new feature.